Yesterday I ordered some bits of stationary. I needed envelopes and, amongst other things, a little bit of bubblewrap. I went onto the trusty stationary supplier’s website and I ordered what I needed. My order was delivered this morning. 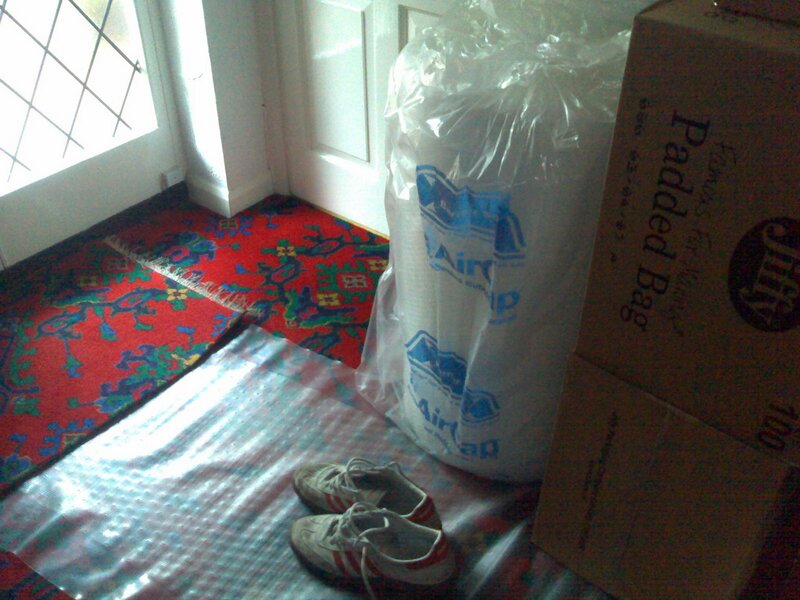 The large cylindrical thing, the height of a child and width of a post box, you see in the photo is the bubblewrap. (I’ve put my shoes in the shot for sizing purposes.) I must have checked the large box when I was ordering by mistake. As interesting a story as that may be, I think the lessons learned from it can apply to writing. It is so important that, even after endless drafting, you check your work. You know what you wanted to say, you know what you think you wrote – but did you? Or did you write something that was almost right? Check your work. Otherwise you could end up with a roll of bubblewrap the size of the moon. That’s a whole lot of bubble-wrap (especially if you intend on popping each bubble individually – which is my favourite use for the stuff! )Seriously though, you make a good point about checking the details. Far too often I read through a piece of my own writing that I thought was fine, only to find spelling and grammar mistakes.Good luck with your writing! Hi Natasha,thanks for dropping by.I’m glad it’s not only me who makes those sorts of mistakes!It’s how you deal with them that’s important though, isn’t it?Good luck with your writing to!Nik.PS I wonder how long it’d take to pop each individual bubble. I’d be there till I was sixty!